Recently my dad decided to move and sell the house. Unfortunately we are a whole family of pack rats so we have tons of things to go through. 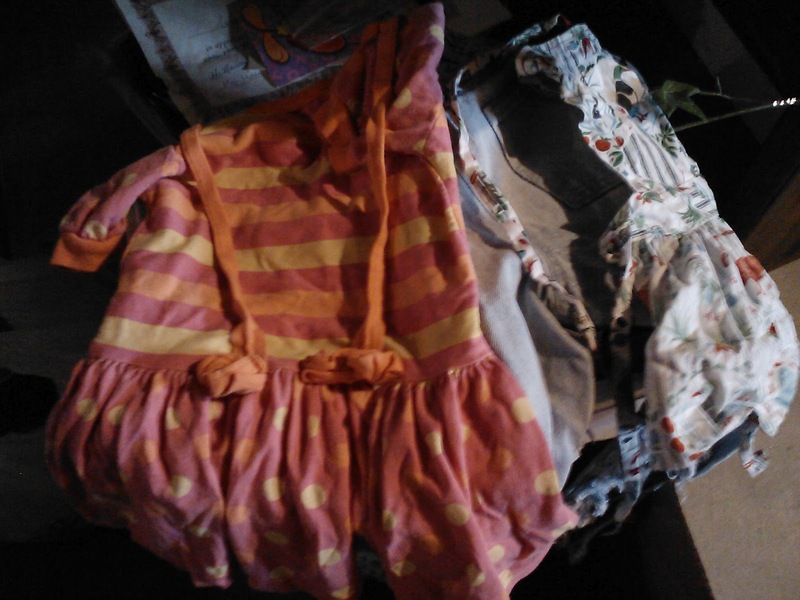 Between the basement, main level, and my bedroom, I have dug up tons of old things and memories. I am trying to be pretty ruthless in getting rid of all my (let's be honest) crap, but it has been tough. I am waaaay too sentimental for my own good. 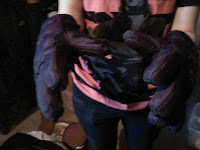 Yep, gloves! To protect me from spiders! (We didn't have another pair of gardening gloves, so snow gloves were the next best thing). 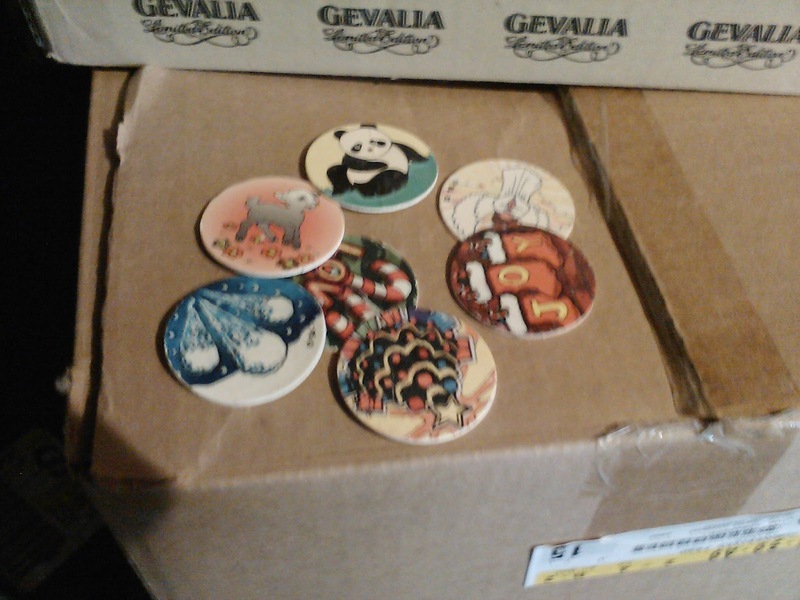 Pogs! Yep, that's right! I don't ever remember playing, but friends must have given me some. 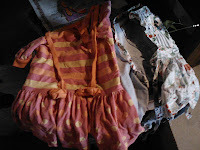 VERY old clothes. 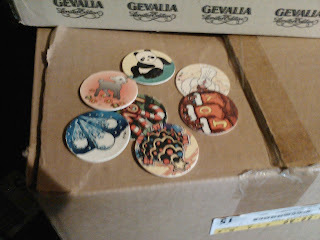 Some of these things will be kept. I am determined to be a quilter one day, so the fabrics/memories will come in handy. 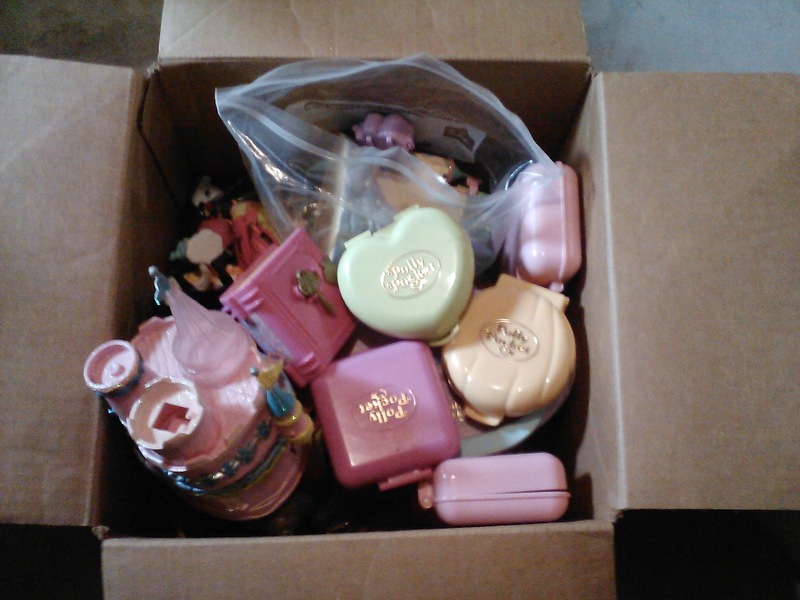 Lots of Polly Pockets which will hopefully make some other little kids happy soon. 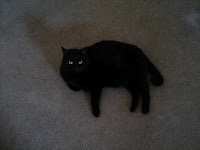 And just because I can post them, here is the kitty (Faithful aka Fidge, Monster, Bug, etc.) 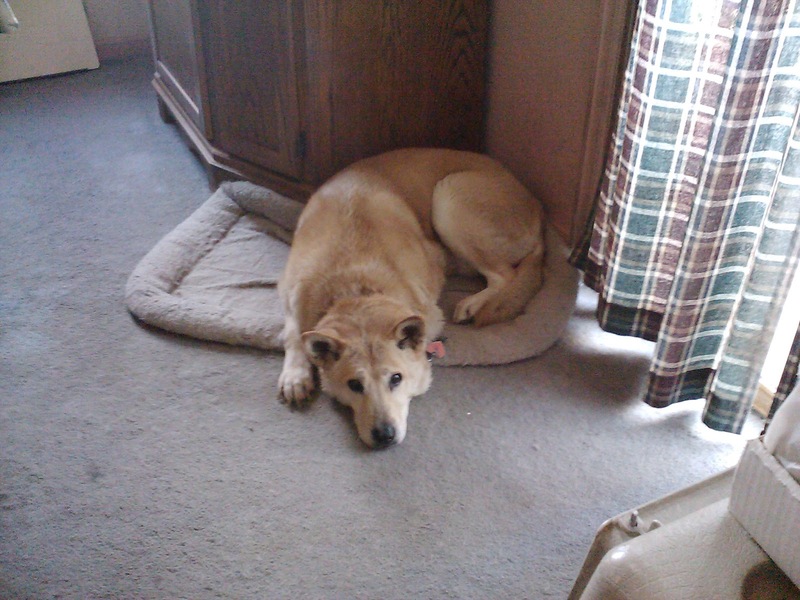 and the doggie (Amber). Once my dad sells the house, my brother or I get to adopt Amber. Luckily my mom will take the Fidge so they will go to good homes. My poor old doggie. She's about 13, has arthritis, and is just about deaf. Someone has to take her home, right? She's so sweet and loves everyone. And I would be happy to have a dog! 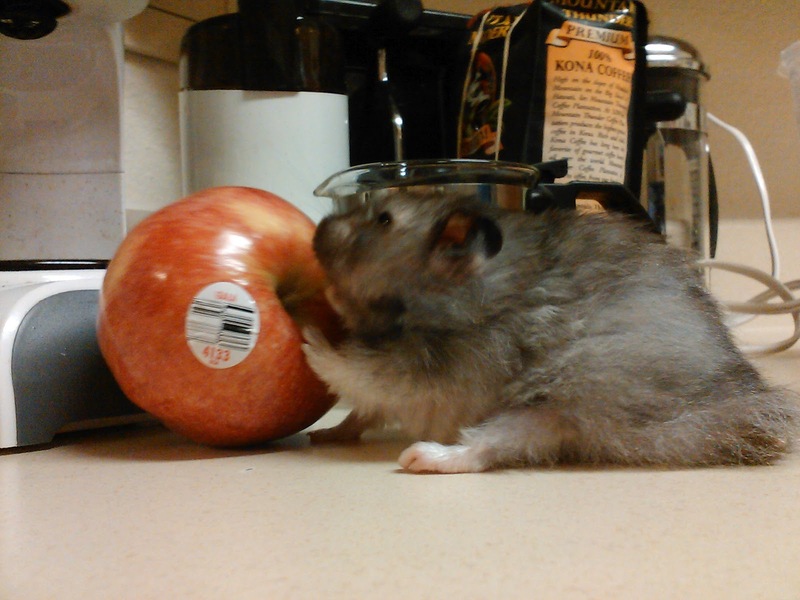 At the moment I have a little hamster, but he's more than three years old (and if you don't know hamsters, three years is about the maximum lifespan). I've had him since he was born, his name is Pico, and I love him more than I love most people. 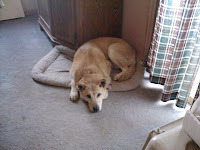 I will be sad when he's gone, so Amber will be a great comfort for me. 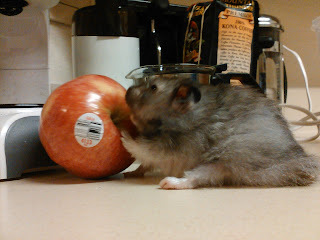 Just for fun, here is little Pico eating an apple!